We offer professional pest control solutions to Saskatoon surrounding areas in Saskatchewan. Guaranteed 24 hours response time. which can help you stay within your budget, even in an emergency situation. All treatments are carried out by friendly, well-trained, licensed, professional pest technicians. We always follow the Canada standards where applicable and use only the highest quality products to ensure your pest problem is treated thoroughly. Pest In Peace Control Solutions is a licensed Pest Control Company, serving residential, commercial and industrial areas in Saskatoon and nearby areas for more than 3 years now. We specialize in Pest Management Services and our main priority is to keep our community happy by protecting families and properties from pests that are invading spaces around us. 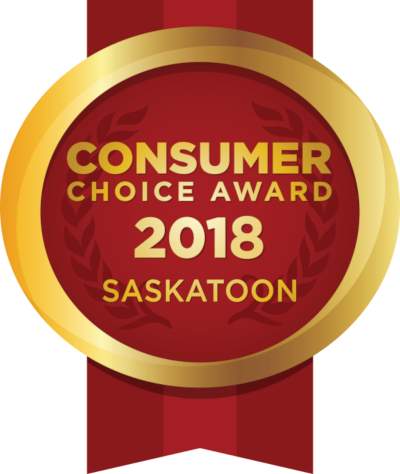 Our mission is to provide peace of mind to Saskatoon home and building owners by protecting and preserving health and property through effective pest control services. Pest In Peace Control Solutions is committed to providing our clients with an excellent experience. Pest in Peace offers custom pest control plans in Saskatoon and around Saskatchewan. We specialize in removal and prevention of infestations by insects and rodents, including cockroaches, fleas, ticks, ants, bees, mice, and a host of other irritating invasive species. All treatments are carried out by friendly, well-trained, licensed, professional pest technicians. We always follow the Canadian standards and use only the highest quality products to ensure pest problem is treated thoroughly. Our professional pest technicians are trained not only to treat the pest problem but also to look at the cause. They will take the time to understand concerns and provide feedback and recommendations on how to minimize pests in and around houses and buildings. We have more than 15 years experience in the pest control field when carrying out treatment and will work with the client to accommodate any pest control needs. Our treatments and products are pest specific, safe for humans and pets and environmentally friendly. We guarantee immediate results and long-term protection for your home and your family. When we are in your area, we will give a complimentary follow-up service to make sure that all pests are eliminated. This applies to all customers with service agreements. Ants form colonies that range in size from a few dozen predatory individuals living..
Ants form colonies that range in size from a few dozen predatory individuals living in small natural cavities to highly organized colonies that may occupy large territories and consist of millions of individuals. Larger colonies consist mostly of sterile, wingless females forming castes of "workers", "soldiers", or other specialised groups. Nearly all ant colonies also have some fertile males called "drones" and one or more fertile females called "queens". The colonies are described as superorganisms because the ants appear to operate as a unified entity, collectively working together to support the colony. Bed bugs can cause many health effects, including skin rashes, psychological effects.. Bed bugs can cause many health effects, including skin rashes, psychological effects, and allergic symptoms. They can be infected by at least 28 human pathogens, but no study has clearly found that the insect can transmit the pathogen to a human being. Bed bug bites or cimicosis may lead to a range of skin manifestations from no visible effects to prominent blisters. Colour: Unfed adults are mahogany; engorged bed bugs are red-brown. Nymphs are nearly colorless. Size: Adults are 1/4-inch long. Nymphs range from 1.3 mm to 4-5 mm. Bats are a potentially dangerous infestation to control. Not only can they as pests.. Bats are a potentially dangerous infestation to control. Not only can they as pests cause problems, but there are medical implications to consider. Bats can carry rabies without showing any signs, and working near bats may increase chances of exposure. Carpet beetles come in two basic types: black and varied. Black adults are 3..
Centipedes have a rounded or flattened head, bearing a pair of antennae at..
Cockroaches are one of the most commonly noted household pest insects..
Cockroaches are one of the most commonly noted household pest insects. They feed on human and pet food and can leave an offensive odor. They can also passively transport microbes on their body surfaces including those that are potentially dangerous to humans, particularly in environments such as hospitals. Cockroaches are linked with allergic reactions in humans. One of the proteins that triggers allergic reactions is tropomyosin. These allergens are also linked with asthma. General preventive measures against household pests include keeping all water and food stored away in sealed containers, using garbage cans with tight lids, frequent cleaning in the kitchen, and regular vacuuming. Any water leaks, such as dripping taps, should also be repaired. It is also helpful to seal off any entry points, such as holes around baseboards, between kitchen cabinets, pipes, doors, and windows with some steel wool or copper mesh and some cement, putty or silicone caulk. Fleas are small flightless insects that form the order Siphonaptera.. Flies are insects of the order Diptera (from the Greek di = two, and ptera = wings).. Flies are insects of the order Diptera (from the Greek di = two, and ptera = wings). they are commonly found in both suburban and rural areas near bodies water, adults flies are capable of flying for more than 30 miles they most often attack moving and dark objects. flies often rest on path and roads, especially in wood areas, where they wait for potential host.flies are attracted to light and will sometimes congregate at windows. Colour: Abdomen usually black and yellow pattered similar to bands. While gophers can be an occasional nuisance to gardeners and homeowne.. While gophers can be an occasional nuisance to gardeners and homeowners, they can cause extensive and significant damage to local ecosystems and agriculture. The amount of soil disturbed by a single population of gophers in one area is usually measured in tons due to the amount of damage they can cause. Hornets (insects in the genera Vespa and Provespa) are the largest..
Hornets (insects in the genera Vespa and Provespa) are the largest of the eusocial wasps, and are similar in appearance to their close relatives yellowjackets. Some species can reach up to 5.5 cm (2.2 in) in length. They are distinguished from other vespine wasps by the relatively large top margin of the head and by the rounded segment of the abdomen just behind the waist. Worldwide, there are 22 recognized species of Vespa, and three species of Provespa, which are unique amongst hornets in being nocturnal. Wasps native to North America in the genus Dolichovespula are commonly referred to as hornets, but are actually yellowjackets. The boxelder bug or Maple bug (Boisea trivittata) is a North American.. The boxelder bug or Maple bug (Boisea trivittata) is a North American species of true bug. It is found primarily on boxelder trees, as well as maple and ash trees. The adults are about 12.5 millimetres (0.49 in) long with a dark brown or black colouration, relieved by red wing veins and markings on the abdomen; nymphs are bright red. Lawn damage caused by moles plagues homeowners and lawn..
Several moths in the family Tineidae are commonly regarded..
Several moths in the family Tineidae are commonly regarded as pests because their larvae eat fabric such as clothes and blankets made from natural proteinaceous fibers such as wool or silk. They are less likely to eat mixed materials containing some artificial fibers. There are some reports that they may be repelled by the scent of wood from juniper and cedar, by lavender, or by other natural oils; however, many consider this unlikely to prevent infestation. Naphthalene (the chemical used in mothballs) is considered more effective, but there are concerns over its effects on human health. A mouse is a small rodent characteristically having a pointed snout..
A mouse is a small rodent characteristically having a pointed snout, small rounded ears, a body-length scaly tail and a high breeding rate. The best-known mouse species is the common house mouse (Mus musculus). In some places, certain kinds of field mice are locally common. They are known to invade homes for food and shelter. Rats can serve as zoonotic vectors for certain pathogens.. Rats can serve as zoonotic vectors for certain pathogens and thus spread disease, such as bubonic plague, Lassa fever, leptospirosis, and Hantavirus infection Norway rats can cause damage to structures through their gnawing and eating. These rats are also vectors of diseases including plague, jaundice, rat-bite fever, cowpox virus, trichinosis and salmonellosis. In addition, Norway rats can contaminate food and introduce fleas into a home. Exclusion is the humane and life-oriented approach to pest control..
Exclusion is the humane and life-oriented approach to pest control. Techniques are applied to remove intrusive animals and prevent future use of your building or home by wildlife. Rather than trap and relocate animals, which is illegal and can expose wildlife to diseases and territorial conflicts, AWES technicians identify how an animal is getting in and seals points of entry without trapping the animal inside. The solution motivates the animal to leave the property and reduces the likelihood of other animals getting in. Exclusion is ultimately more effective, more economical, and far more humane than most other services. Silverfish consume matter that contains polysaccharides, such as..
Silverfish consume matter that contains polysaccharides, such as starches and dextrin in adhesives. These include book bindings, carpet, clothing, coffee, dandruff, glue, hair, some paints, paper, photos, plaster, and sugar. They will damage wallpaper in order to consume the paste. Silverfish can also cause damage to tapestries. Other substances they may eat include cotton, dead insects, linen, silk, or even their own exuvia (moulted exoskeleton). During famine, a silverfish may even attack leatherware and synthetic fabrics. Silverfish can live for a year or more without eating if water is available. Silverfish are considered household pests, due to their consumption and destruction of property. Sowbugs are land crustaceans which look very similar to pillbugs..
Sowbugs are land crustaceans which look very similar to pillbugs, at least at first glance. Sowbugs are small crustaceans with oval bodies when viewed from above. Their back consists of a number of overlapping, articulating plates. They have 7 pairs of legs, and antennae which reach about half the body length. Most are slate gray in color, and may reach about 15 mm long and 8 mm wide. The domestic pigeon, is a pigeon that was derived from the rock pigeon.. The domestic pigeon, is a pigeon that was derived from the rock pigeon. The rock pigeon is the world's oldest domesticated bird. Pigeons are filthy birds, causing disease and damage. Their droppings are known for triggering human slips and falls, as well as accelerating the aging of structures and statues. This makes it imperative to get rid of pigeons in highly trafficked areas. More seriously, pigeons may carry diseases such as cryptococcosis, toxoplasmosis, salmonella, food poisoning, and more. Also, their droppings may harbor the growth of fungus, which causes histoplasmosis. Other pests may live on these birds, including fleas, lice, mites, ticks, and other pests. Pests may also infest nests such as stored product pests. Size: Up to about 11 inches; weight up to about 13 ounces. Sparrows damage crops and gardens by pecking seeds,..
Sparrows damage crops and gardens by pecking seeds, seedlings, buds, flowers, vegetables and maturing fruits. They consume and spoil livestock food and water, and contaminate or deface buildings, facilities and livestock with their nests and droppings. They can also transmit many diseases and parasites of livestock, pets and humans. The House Spider are urban pests named after the comb-like row.. The House Spider are urban pests named after the comb-like row of bristles located on the tarsi of their fourth pair of legs. House spiders are common throughout the world, and their webs are most often found in corners, basements, crawlspaces, under furniture and around windows. The venom is necrotic, causing open, localized wounds that may be slow to heal. Because they will readily eat crop species, Richardson's ground squirrels..
Because they will readily eat crop species, Richardson's ground squirrels are sometimes considered to be agricultural pests, although this is not their legal status in all jurisdictions. The government of Saskatchewan declared the animals pests in 2010, allowing local governments to employ gopher control measures. Tent caterpillars are moderately sized caterpillars..
Tent caterpillars are moderately sized caterpillars, or moth larvae, belonging to the genus Malacosoma in the family Lasiocampidae. Twenty-six species have been described, six of which occur in North America and the rest in Eurasia. Some species are considered to have subspecies as well. They are often considered pests due to their habit of defoliating trees. They are among the most social of all caterpillars and exhibit many noteworthy behaviors. Tent caterpillars are readily recognized because they are social, colorful, diurnal and build conspicuous silk tents in the branches of host trees. Some species, such as the eastern tent caterpillar, Malacosoma americanum, build a single large tent which is typically occupied through the whole of the larval stage, while others build a series of small tents that are sequentially abandoned. Whereas tent caterpillars make their tents in the nodes and branches of a tree's limbs, webworms enclose leaves and small branches at the ends of the limbs. Traps are used as a method of pest control as an..
Traps are used as a method of pest control as an alternative to pesticides. Commonly spring traps which holds the animal are used — mousetraps for mice, or the larger rat traps for larger rodents like rats and squirrel. Specific traps are designed for invertebrates such as cockroaches and spiders. Some mousetraps can also double as an insect or universal trap, like the glue traps which catch any small animal that walks upon them. Visual bird deterrents are used to frighten birds from treated.. Visual bird deterrents are used to frighten birds from treated areas with common scare triggers such as predator features or reflective surfaces. The birds see the bird deterrent and flee the area. Visual bird deterrents are ideal to use in outdoor areas such as gardens, fruit trees, around pools, on patios and other areas birds like to hang out. Visual bird deterrents are commonly used in backyard and outdoor settings and are most effective when installed shortly after a "bird problem" is noticed. Where applicable, visual bird deterrents are an economic, low cost solution for many common outdoor pest bird problems. You have heard of mole control, but not vole control? Why is that?.. You have heard of mole control, but not vole control? Why is that? Well, the latter gets little recognition. While you may not know the difference between moles and voles, even those who are not landscaping enthusiasts have heard of moles. But most people go their whole lives without ever so much as hearing about voles, let alone controlling them. To make matters more confusing, these pests are sometimes referred to as "meadow mice" or "field mice." But when you identify the damage they cause in lawn and garden alike, you'll quickly learn that this is no "Mickey Mouse" problem. Voles construct well-defined, visible tunnels, or "runways" at or near the surface, about two inches wide. Vole runways result from the voles eating the grass blades, as well as from the constant traffic of numerous little feet beating the same path. And if any lawn and garden pest can literally “beat a path” through the grass due to their sheer numbers, it’s the voles. Rabbits don’t have anything over this prolific rodent! The most commonly known wasps such as yellow jackets..
WHAT YOU NEED TO KNOW ABOUT PEST CONTROL? Pest in domestic homes, commercial properties and industrial areas are not only annoying but they can also cause structural damage and health risks to humans. Pest in Peace Control Solutions puts you and your family first with safe, quick and thorough pest treatment and prevention solutions. We take the time to understand your needs and determine the best solution. Our team will explain the process and guide you, every step of the way so you know exactly what to expect. Our treatments and products that we use are pest specific and not harmful to humans or pets. Rest assured, knowing your pest concern will be treated with the highest quality products, in a safe and environmentally friendly method. Our professional pest technicians are trained not only to treat the pest problem but also to look at the cause of your home pest problems. They will take the time to understand your concerns and provide feedback and recommendations on how to minimize pests in and around the home. All our professionally trained and experienced technicians take care when carrying out treatment at your home and will work with your family to accommodate any of your pest control needs. We begin our relationship with each customer with a thorough inspection of the building or home so we can develop a customized pest control plan. We begin our relationship with each customer with a thorough inspection of the building or home so we can develop a customized pest control plan. The technician will provide a list of the areas treated, along with information about how long the treated areas need to be avoided. This type of detailed report is important, especially for those who are sensitive to common chemicals used in pest eradication. Prevention services includeblocking all possible entry points in the building exterior and interior, cutting off all source of feeding the. Prevention services include blocking all possible entry points in the building exterior and interior, cutting off all source of feeding the pest could possible get the food that attract the pest. Elimination services involve spraying insecticide, baiting, traps, pesticides, rodenticides and more. The disease is known as Hanta Virus-Related Acute Respiratory Disease Syndrome (Hanta Virus Pulmonary Syndrome). There has been an impressive accumulation of knowledge about this illness in a short time, however, many unanswered questions still remain. The risk is specifically to those individuals who come in contact with infected rodents. The risk of infection is slight but it is a real risk. 50% of people infected with the Hanta Virus have died. Hanta Virus has been identified as a health risk to the general population in Canada, USA, and South America. The risk is specifically Associate with contact with the deer mouse but this does not rule out other rodents such us: chipmunks, ground squirrel, mice, rats, bats, pigeons etc. High-risk environments will be will be encountered when disturbing nesting material, burrows, droppings, and surroundings soil etc. The risk is higher in enclosed environments. The presence of the above symptoms is not specific for Hanta Virus and can be caused by many ailments. The only specific symptom of Hanta Virus disease is very serious and is characterized by sudden onset of difficulty in breathing that rapidly worsens. Individuals Experiencing pneumonia-like symptoms should seek immediate medical attention and inform caregivers of rodent exposure. Copyright © Pest in Peace Control Solutions Inc.